Product prices and availability are accurate as of 2019-04-16 08:10:52 EDT and are subject to change. Any price and availability information displayed on http://www.amazon.com/ at the time of purchase will apply to the purchase of this product. 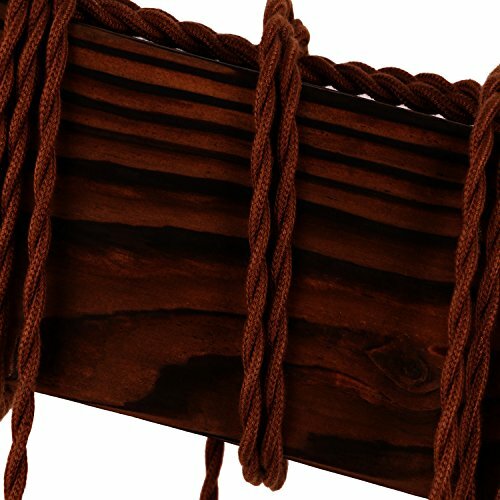 The main part of this item is made of wood and metal. 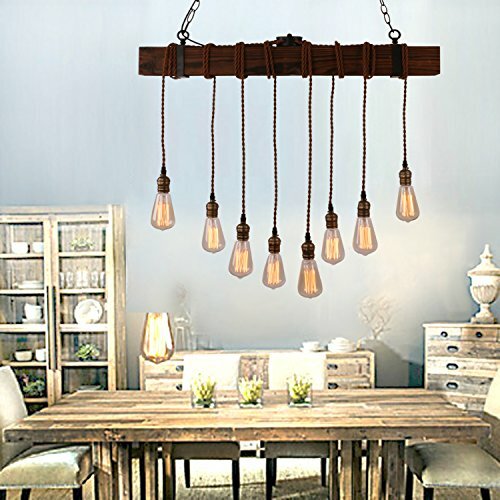 The length of fixture is 31 inches, the width of the light body is 3.3 inches. 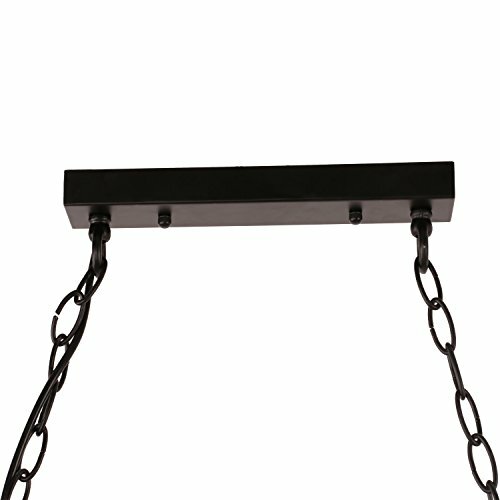 The total height is adjustable as your request. 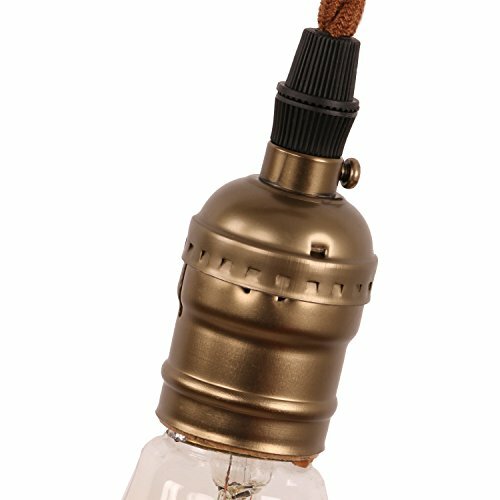 There is 8 E26 bulb sockets, the maximum compatible wattage of one bulb is 40W. So the power of item is 320w. (bulbs not included). High quality,2 years guarantee. Installation type:Hardwired. Product Dimensions: Its length is 31 inches, width is 3.3 inches, height is adjustable. 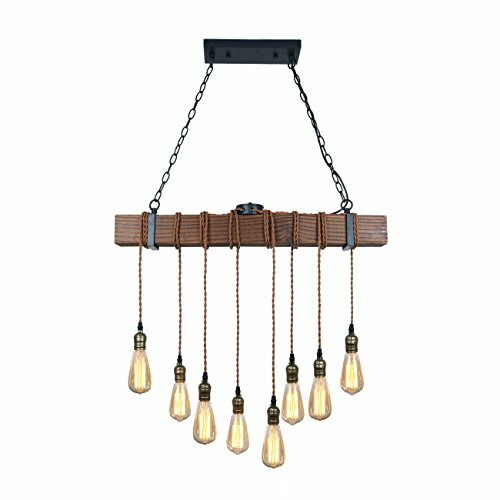 It's the perfect light fixture to install in kitchen,dining room,living room,porch and more. Materials:metal, wood. Color:black. Style:traditional,vintage,rustic. Voltage:120V for North America.Max. Power:320W (Bulb not included). 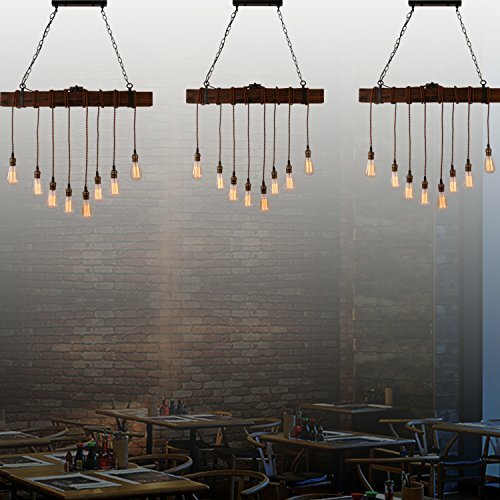 Feature: If use edison bulbs, incandescent bulbs or dimmable LED bulbs, this fixture is dimmable. If you want to have more lightings to choose,please click our brand name"Unitary "which is under the title.Welcome to you!Thank you!